This blog is a collection of ideas, thoughts and information for all the Super Seniors I come in contact with. 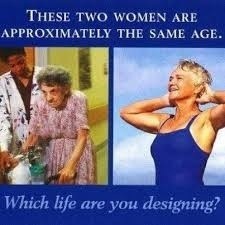 I truly believe that staying active and eating well will relieve or solve many of the issues that come with age. Just as obesity is a growing problem,excuse the pun, Diabetes is more like an epidemic! Common but NOT normal, found especially in Heart patients, some specialists say its difficult to say if Diabetes is a symptom of CHD or the other way round…. A few changes in diet can and will lessen or remove diabetes symptoms. Losing just a few pounds, 10% scale weight, will often return you to normal health status. Eating better and getting more exercise will improve mobility, joint pain, digestion, sleep patterns and mood. 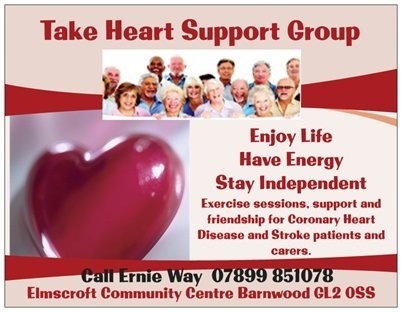 TAKE HEART I teach 4 weekly fitness sessions for Take Heart in Gloucester, at Elmscroft Community Centre – and have done for the last 15 years. Take Heart is a support group set up and run by members for anyone with CHD or the diagnosed symptoms of it. Afilliated to the Bristish Heart Foundation. The four classes are held on Mondays and Fridays – 10:15 offers active members fun aerobics with a variety of small equipment and the 11:15 chair based session offers an easier option to stay mobile and independent. MS GROUP I also teach for Gloucester and Forest of Dean Multiple Sclerosis Association. We meet every Friday at 14:00 and enjoy a good laugh along with some mostly seated Pilates exercises. 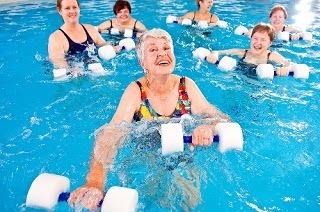 SENIOR SPLASH I hire the pool at Fitness First in Cheltenham on a Monday and Thursday 14:30 these 45 minute sessions are great fun, set to great singalong music. They aim to increase suppleness, strength and stamina. The pool is salinated – so kind to skin. The club has lift access and lovely, big changing rooms ideal if you’re a bit wobbly on your feet. These sessions are open to anyone that wants a fun option to stay healthy. I hope that you’ll want to contribute your thoughts, feelings, questions and ideas here too.